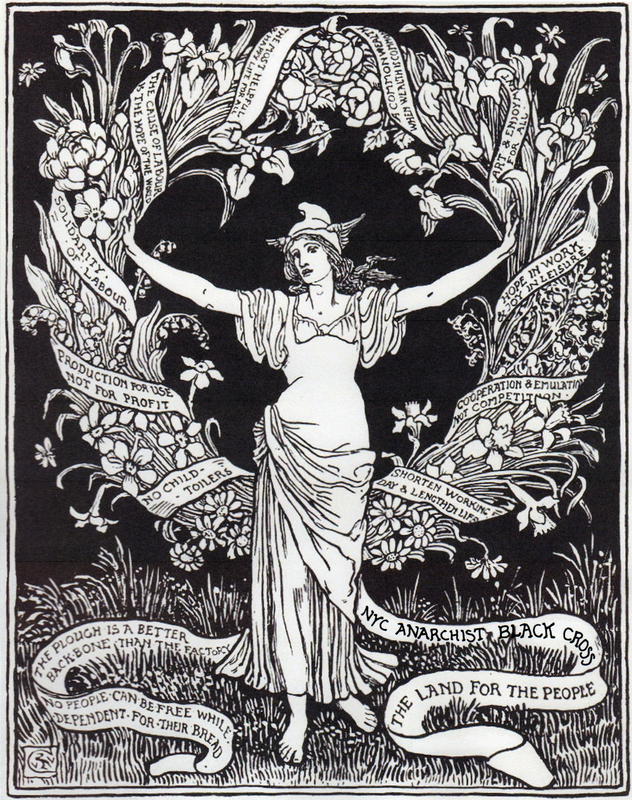 With International Women’s Day having just passed, it is important to acknowledge the often forgotten radical history of the day itself, steeped in the political action and uprisings from anticapitalist women in the early 1900’s. The histories of the day itself, the participation of women in all revolutionary and radical struggles, and how the State incarcerates women are constantly being whitewashed. With fighting that tendency in mind, NYC ABC will be writing cards to six political prisoners at this Tuesday’s letter writing dinner. Please join us to hear about and write to Janet Africa (MOVE), Janine Africa (MOVE), Red Fawn Fallis (Standing Rock water protector), Nina Droz Franco (Puerto Rico liberationist), Chelsea Manning (Grand Jury resister), Rev. Joy Powell (anti-police violence organizer), and Reality Winner (whistleblower). New T-Shirts in Solidarity with Indonesian Anarchist Prisoners and NYC ABC Available! NYC ABC is pleased to announce that we have TWO (you heard it folks) TWO new t-shirt designs for sale! Solidarity to All Anarchist Prisoners in Yogyakarta! NYC ABC is extending all of our solidarity to our Indonesian Comrades facing repression from the police. International Solidarity to class war prisoners in Yogyakarta who are undergoing legal repression after being arrested while protesting against the monarchy- feudal society and the construction of the New Yogyakarta International Airport (NYIA) which is actively going to displace the Kulon progo community. We have X Small, Small, Medium, Large and XL shirts available featuring this design from the Palang Hitam Black Cross for only $20.00 and $25.00 for orders going to Mexico and Canada! All funds collected will be going to the Anarchist prisoners in Indonesia. In addition, NYC ABC is rolling out new shirts for the collective also available in the sizes: X Small, Small, Medium, Large and X Large. They will also be selling for $20.00 and $25.00 for orders going to Mexico and Canada. How do I get these rad new t-shirts and support political prisoners in Indonesia and the so-called united states? The easiest way is to find us is at events that we’re tabling! For such news be sure to follow us on your favorite social media outlets: Instagram and Twitter @nycabc. COST: Free Join us Tuesday as NYC ABC celebrates International Women’s Day by writing the female identifying political prisoners held captive here in the United States. We’ll be sharing the stories of and writing to Debbie Africa, Janet Africa, Janine Africa, Red Fawn Fallis, Nicole Kissane, and Rev. Joy Powell. At the Framed In America: The Making Of Political Prisoners event in support of the political prisoners of the MOVE family over the weekend we were once again reminded by elders who either have spent time behind bars themselves or have supported those who have, that supporting folks snatched up by the State is of the utmost importance for any political movement and community. Throughout the history of European expansion across the globe indigenous folks have been putting their bodies on the line in order to stop the spread of colonialism. This struggle has shown itself in recent years in the fight against the expansion of American capitalist and colonial powers onto indigenous land to build pipelines that not only threaten the sovereignty and autonomy of those who live there, but also the water and ecology which sustains region. Time and time again we see repression chasing down the strength of those who fight against these forces in an effort to isolate folks and put a stop to these movements and those who are water protectors are no exception. With that in mind, NYC ABC will be writing to Red Fawn Fallis and Little Feather (Michael Giron) for our every-other-week political prisoner letter-writing dinner. On October 27th, 2016 Red Fawn and over 140 other water protectors were arrested on the front lines of Standing Rock during a massive police raid on a camp of resisters. Red Fawn was initially accused of firing on local cops while being arrested and charged with attempted murder but those charges have since been dropped and Red Fawn was then transferred into federal custody to face three federal charges related to possessing a firearm while being a felon. Red Fawn has been steadfast in her dedication to the struggle by putting her body on the line despite the endless attacks of the local cops and private security hired by the pipeline company and being arrested on two other occasions during her stay. In 2018 Red Fawn took a non-cooperating plea deal in which the State dropped the charge which carried the longest sentence (10yrs-life) with the stipulation that she plead guilty to the other two charges. The prosecution has recommended that the judge sentence Red Fawn to 7 years in prison. Her sentencing hearing is scheduled for May 31st. Little Feather’s charges stem from alleged actions that took in the previously mentioned police raid at Standing Rock on October 27th, 2016. He was initially charged with Civil Disorder and Use of Fire to Commit a Federal Felony Offense. The latter carries a minimum of 10 years imprisonment. In 2018 Little Feather took a non-cooperating plea deal in which the State dropped the Fire charge he plead guilty to the Civil Disorder charge. The recommendation on his sentencing is 3 years and his sentencing hearing is scheduled for May 30th. As always, we ask that folks be mindful of what they include in there letters given they are read by State officials and could be used to harm either the person who is in prison, the person writing them, or the communities in which we come from or support. DO NOT WRITE ABOUT THE ACTIONS THE STATE HAS ALLEGED THEY TOOK PART IN OR ANY OTHER ACTION THE STATE COULD DEEM ILLEGAL. This is especially important in writing to those with open cases or who have yet to be sentenced like Red Fawn and Little Feather. With folks lining up in droves to take part in their consumerist rituals for the holidays, one may think that all is well. The fact that political prisoners are still being held captive by the State tells us otherwise. In the spirit of love and solidarity we ask folks to join us this Tuesday as we end another year of our every-other-week letter writing dinners by writing to Mumia Abu-Jamal. Coming on the heels of the 5th anniversary of the Cleveland 4 being captured by the State after a coordinated effort to entrap them, we ask that you join us in sending some love their way as we write to Brandon, Connor, Skelly, and Doug. April 30, 2017. Tonight marks the fifth anniversary of the arrest of Brandon Baxter, Connor Stevens, Doug Wright, and Josh “Skelly” Stafford—the young men who came to be known as the Cleveland 4. Their arrest was the culmination of an FBI-created plot to place (fake, government-supplied) explosives under the base of a bridge and brand Occupy activists as “terrorists.” On this anniversary, we should pause. Take a moment to think about what was done to the Cleveland 4, the consequences they continue to suffer and the support they need, and how their case is a reflection of the bigger political moment in which we are living—and what that requires of us. The plot to blow up a bridge was the result of months of coercion by a paid government informant and elaborate orchestration by the FBI. In a common pattern since 9/11, the FBI created a terrorism plot, entrapped vulnerable people in it, supplied the materials, and then supposedly heroically captured the made up “terrorists”—reassuring the public that the government would protect them…from a threat that never really existed. In addition to being used against the Cleveland 4 as anarchists in the Occupy movement in an attempt to quell it, this pattern has repeatedly been used to entrap young Muslim men and manufacture Islamophobia. And the pattern will surely continue to be used and adapted. As long as the FBI issues press releases that smear people across the media as “terrorists,” the State will continue to use the crafted narrative to justify its Orwellian surveillance and COINTELPRO tactics that tear apart individuals, communities, and movements. We have a responsibility to see through the smoke and mirrors, to criticize and expose how the State uses so-called “terrorism” to suit its interests by stirring up fears—and recognize that this political landscape is not an accident, but a State power that our organizing must take into consideration. And we have to not let Brandon, Connor, Doug, and Skelly be lost in the smoke and mirrors; rather, our support of them should be a beautiful showing of resistance through taking care of each other. When the State tries to take our loved ones from us, we have to still hold on in all the ways that we can through the walls of prison. Through the narrative that the States creates in terrorism prosecutions, it seeks to tell a certain story. In doing so in the case of the Cleveland 4, the government succeeded in putting Brandon, Connor, Doug, and Skelly in prison, but that does not mean that it gets to write the rest of this story. That’s for us to do—to turn a government-crafted plot into a setting that’s lighted by an unwavering commitment to making sure that every anniversary of the arrest of the Cleveland 4 marks another year of tangible acts of solidarity. Write and send books to the Cleveland 4, donate to their support fund, and let our solidarity with each other be stronger than the forces that would tear us apart. Take care of each other and make sure that Brandon, Connor, Doug, and Skelly know that we are here to take care of them. You’ve probably been working too many hours a week to even notice the full-blown war being waged against you by the ruling class. It is real and it is continuing. And of course there is another war– the war against folks imprisoned for their political beliefs and actions. And here’s where we bridge the two. This week, NYC ABC will be hosting our annual May Day card-writing night. We will be sending greeting cards to anarchist political prisoners and there’s an easy (too easy? POSSIBLY!) way for you to help. Just come by, eat some food, sign some cards, maybe meet folks you don’t already know, and show some base level solidarity with those behind bars. If there’s absolutely no way you can come eat our home cooked vegan meal and sign a lot of May Day cards, but still want to support political prisoners, please consider sending some books from their wish lists.